Home » Stevie G: Still a Force to be Reckoned With? Stevie G: Still a Force to be Reckoned With? It is amazing to think that Steven Gerrard, at the tender age of 36, is still awaiting his first league title as a professional footballer. For a player who was nominated for the Ballon d’Or in 2005, and who featured in the English Premier League Team of the Year on eight separate occasions, that really is a remarkable statistic. The former Liverpool star may have been hoping that 2016 was finally going to be the year that he broke his duck, what with his LA Galaxy side riding high in the Western Conference and a pundits pick for the MLS Cup. But a shock defeat to Seattle Sounders last time out has left the Los Angeles outfit in a real scrap for one of the two automatic Final Series places. It hasn’t been a stellar campaign by Gerrard’s standards; injuries and the LA heat have meant his game time has been kept to a minimum. But when he has pulled on the white shirt there are still flashes of the old genius: nine assists and three goals in seventeen starts, plus 2.00 key passes and 1.80 shots per 90 minutes, is testament to that. Which begs the question really….could he still cut it at the top level even in the winter of his career? As a midfielder at the age of 36, your days of charging from box to box to get involved at both ends of the pitch are over; that’s not ageism, just basic biology. It’s not a role often deployed in the modern game anyway – midfielders tend to sit deep and dictate play or take up more advanced positions, and as Gerrard’s former England teammate Frank Lampard has proven Stateside you can still teach an old dog new tricks. The Merseysider’s contract in Los Angeles comes to an end come the conclusion of the MLS campaign, and with talks regarding an extension seemingly stalled until the curtain comes down on the season, many are querying whether a move back to Europe is a possibility. You would suggest that the high tempo of English and German football would prove to be too much for his legs - he will be 37 by the end of this season, but it would not be a surprise if Gerrard surfaces at an Italian or Spanish side during the January transfer window. The slower pace in those particular countries will suit his game, and blessed with exceptional technical ability Gerrard can pick a pass long or short with ease. The mind might be willing to charge forward and create things in the final third alas the body is not able, but he could still fulfil a role as a deep-lying ‘quarterback’ in the mould of Andrea Pirlo with ease. Watch this space! 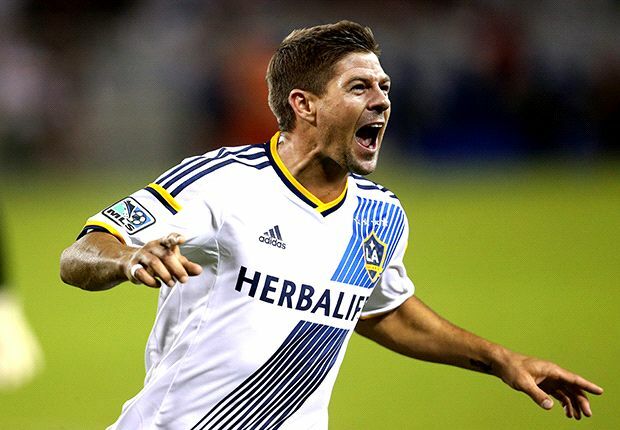 The above is assuming that Stevie G would be willing to leave behind the year-round sunshine of Los Angeles for a return to a predictably dreary climate. Oh, and the fact that he remains a pivotal part of an LA Galaxy side challenging for honours in the MLS. Gerrard’s experience and quality on the ball will, injuries permitting, be a crucial factor in the conclusion to the Western Conference campaign, and his big match temperament will ensure that his side enters into the play-off programme as hot favourites with the bookmakers (if they qualify that is!). Galaxy are one of the most decorated teams in MLS history, and if they can see off the advances of FC Dallas and Colorado Rapids, among others, during the conclusion of the season then they could well regain the MLS Cup trophy they last won in 2014. A fitting curtain call for Gerrard to call time on his career then….or does another European adventure await?